Provide positive instruction and teach the fundementals to give our players the best opportunity to have fun and succeed in the game of lacrosse. 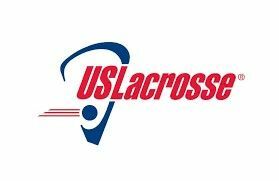 Our Mission - As the sport's national governing body, US Lacrosse provides national leadership, structure and resources to fuel the sport's growth and enrich the experience of participants. While primarily serving the youth level, US Lacrosse, a 501(c)3 nonprofit organization, is committed to providing a leadership role in virtually every aspect of the game. Make the Sport Safer – Since 1998, we have invested more than $1 in funding for lacrosse-specific research to make the game safer. Train and Certify Coaches – More than 15,000 coaches annually participate in US Lacrosse online training or in-person instructional clinics. Train and Certify Officials – US Lacrosse has more than 700 certified officials trainers and 350 certified officials observers to help improve the quality of officiating. Create Opportunities to Play – US Lacrosse awards more than $1 million annually in resources through the First Stick Program. Elevate the Sport's Visibility – Our 30-time world champion U.S. National Teams set the standard for excellence in the sport. Pioneer National Standards – US Lacrosse youth rules and the Lacrosse Athlete Development Model are designed to create the best experience for all participants. Educate the Lacrosse Community – The US Lacrosse National Convention has grown to bring together more than 7,000 coaches, officials, administrators, and fans together each year. What a night last night! I will try to do my best to recap Coach Don Zimmerman’s talk last night, but that is going to be a tall task. Thank you to those who were able to make it out last night, and for those who couldn’t make it out please read over the recap and notes below. Coach Don Zimmerman is a 2017 inductee in the US Lacrosse Hall of Fame. He coached collegiate lacrosse at Johns Hopkins for 16 years, and UMBC for 23 more years. He played at Hopkins as a midfielder, and has assistant coaching jobs at Princeton, UNC, and Loyola. Coach Zim is a three-time D1 National Champion, three-time American East Champion, five-time American East Regular Season Champion. He led his teams to 12 NCAA Playoff Tournament births and was named America East Coach of the Year three times. Coach Zim spent over 45 minutes speaking to the group, and he was so engaging. He covered a wide range of topics related to today’s game of lacrosse. He began with talking about how important Instructional Lacrosse Camps can be for the kids. He shared memories of times when he visited camps to talk with campers and coaches. As he got into his philosophy, he really simplified it for us, by breaking it down into the win at all cost mentally, or the teaching of fundamentals and nurturing the boys to love the game. He shared his days of growing up in Mt. Washington, and getting his first lacrosse stick, and getting on the wall, passing the ball against the wall for hours. He shared that lacrosse has given him so much, and he feels that it is his responsibility to give back to the lacrosse community, by sharing his insights. He then proceeded to getting into his coaching background, sharing examples of coaching his own son in college, and encouraging other parents to cherish the opportunity to coach their own children. Coach Zim misses being out there on the field coaching because it was so much fun, and so rewarding. He sees lacrosse as a venue to teach life lessons such as discipline, humbleness, success and failure, team sacrifice, communication, and working together. The lacrosse field is a wonderful classroom, when coaches build these aspects into practices and hold boys accountable. Coach Zim shared a very powerful example of coaching kids to start each sprint with his toe off the line, because in a game a toe on the line can mean you are out of bounds or offside, and a turnover to the other team. He shared that when his players understood that they became accountable and never had a toe on the line. Coach Zimmerman talked about recruiting and playing in high school and beyond. He shared that there are a lot of opportunities out there. He cautioned us about the Club teams out there. The most important thing for all youth lacrosse players is learning the fundamentals, and the right way of doing things. He shared with us how to hold a stick, and how to pick up a ground ball, as well as how to properly throw the ball to a teammate, and how that is different then when you are shooting. Coach Zim talked about how Coach Wooden from UCLA would always spend the time to teach his college boys how to put on their socks and tie their shoes and doing things the right way make all the difference. The multi-sport athlete is very important to Coach Zim. He played soccer, basketball, and lacrosse growing up. It is so important for athletes to play multi-sports because they get different coaching and have an opportunity to play with different teammates. He also feels by playing multiple sports the boys will avoid burnout. Coaches and parents need to be on the same page and support one another. He encourages us to take our boys out to the lacrosse games in the area, and watch the games on TV, especially those that he is commentating on ESPN. Coach Zim explained the new NCAA rule changes and shared his feeling on how they will change the game for the better. As he concluded his talk, he empathized that athletics can play a tremendous role in each child’s development. Playing in practice and games, while getting better is the fun part. He acknowledged that parenting isn’t easy, but being a part of a team, getting on the same page, great things can happen. His final words really hit home, he said let kids be kids, enjoy this wonderful game, love it! I tried to capture Coach Zimmerman’s words as the best I could. I hope I have done that! Although, there is no way I could have captured his passion for this wonderful game of lacrosse. A big thank you goes out to Eric Barger who coordinated Coach Zimmerman’s appearance last night! I had a hard act to follow last night as I shared the info below. Please let me know if you have any questions from the notes below! - Philosophy of the program is to teach the boys the fundamentals and nuances of the game, and grow to love the game of lacrosse. Coaches want to provide an energetic atmosphere where the kids are constantly moving and active. We want to help boys grow to become skilled lacrosse players that can play at the highest level they desire. Forest Hill Lacrosse will work to provide the opportunity for every boy to play lacrosse, regardless of his level of expertise. We will evolve with the game and stay competitive with our competition on and off the field. We want to make sure every boy that picks up a stick grows to love it! - Our 40+ coaches and volunteers are a blend of individuals with and without lacrosse experience. We have coaches who have played since they were 5/6 and have gone on to play collegiate and become All Americans and National Champions who are still playing today. We also are very fortunate to have certified coaches who have become involved only after their son decided to play. We also have coaches new to the sport, yet are just as eager to learn the game, and teach the kids. All our coaches love working with and teaching kids! - This year we will continue to work very hard to make sure the coach/parent relationship is collaborative. Coaches will work to keep parents informed, and parents will work to support the coaches work with their child. Team managers will assist coaches and parents and be that go between throughout the season. - My role as commissioner will shift over the next few weeks. I will still communicate bi-weekly throughout the season, but communication will shift to the coaches and team managers. - As the boys move from age group to age group the rules change a bit. Clinic is simply weekly instruction teaching how to handle the stick, without any equipment. Boys use the lacrosse stick and a soft ball during the practices. Pee Wee moves to using equipment, and coaches work to teach the basics of the game. Games are played eight on eight across the field, sideline to sideline. Boys can begin to check and play defense with the stick, but no body contact. Tyker moves to the more traditional rules with limited body checking, and officials still work with the players to explain the fouls they commit. Coaches build onto what students already know and begin to institute offensive and defensive plays at the more experiment levels. At Tyker game can be played with eight men on the field, or ten men on the field at the more experienced levels. Lightning and Midget tend to follow the traditional rules with a few minor exceptions for the safety of the boys. For example they can’t swing their sticks with one hand to check their opponents stick. This can be done in high school and college. - The evolution of the game is creating more options for boys and their parents. It has created a competitive environment between rec councils and clubs to get boys to play for their program. This will be very fluid and continue to change for the near future. Forest Hill Lacrosse will work to evolve with these changes making sure we are providing the best product out there. New this year are our very first Select teams that are hybrid teams of our most experienced third and fifth graders. They will be playing a Club Schedule and multiple tournaments over the summer, and possibly into the fall. We will expand the Select program as Forest Hill continues to grow. We will continue to provide traditional rec experiences playing on travel teams at the Lightning and Midget ages. While Pee Wee and most of our Tyker teams will be divided equally to provide for competitive games where all the boys can grow. - The lacrosse stick is the most important piece of equipment for every boy, and having a proper pocket is a must for every boy. It is highly encouraged to take a stick bought directly off the shelf, and get it restrung, so that your son has a pocket that will allow him to scoop, cradle, pass, and catch with ease. Lax Unlimited in the Festival of Bel Air is a store that can do that for around $25. Some High School boys can restring sticks, and you can teach yourself by watching YouTube videos. In addition to the pocket it is important for every boy in clinic, pee wee, and tyker to cut the stick to a length of 36 inches from the top of the head to the end of the stick. Be sure to remove the end cap prior to cutting the metal portion of the stick. The coaches recommend that Lightning and Midget players, play with a stick at the length of 40 inches. If you choose to buy a new stick it is recommended that you purchase a Warp or StringKing stick. We do not recommend defensive poles until your son is in Lightning, and even then wait for the coach to recommend your son begin to use it. - Team Store items are in for pick up, Tim Parks will coordinate with those parents who weren’t there last night, as well as those parents who had back ordered items. Reminder all boys in pee wee, tyker, lightning, and midget will receive an Under Armour t-shirt, shorts, and reversible jersey as a part of their uniform. We promise to open the Team Store on Registration opening which will be October 15th, 2019. - Raffle tickets were distributed to parents in attendance. Each parent received 20 tickets for each boy they have playing in the program. In addition, a flyer was handed out explaining the prizes, as well as the incentives for the boys who sell 10, 20, 30, 40, or 50 tickets. You will be able to find the flyer posted on the website. If you were not at last night’s meeting you will be able to pick up tickets from Dan Keller, Rachel Pohlner, Ashley Buzzeo, or myself at your son’s next practice. Clinic parents feel free to contact me if you would like to pick your tickets up prior to April 5th first practice. If anyone needs more please email me. The Raffle will be our only fundraiser for the year, and we are looking to raise $10,000 to cover next year’s indoor costs! - Don’t forget to purchase your Towson Tigers Tickets for their March 23rd Noon game against the Denver Pioneers. Tickets are available on our website. Visit the website regularly, and read all emails in their entirety. Finally, game schedule will be released towards the end of March, as soon as I know, the coaches will know, and you will know as well!